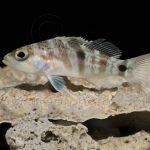 A number of dazzling new species have recently been uncovered from the remote reefs of Easter Island. 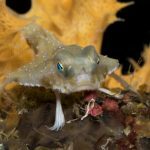 Last month, researchers from the California Academy of Sciences, along with several Chilean collaborators, conducted a series of surveys to document the region’s unique marinelife. 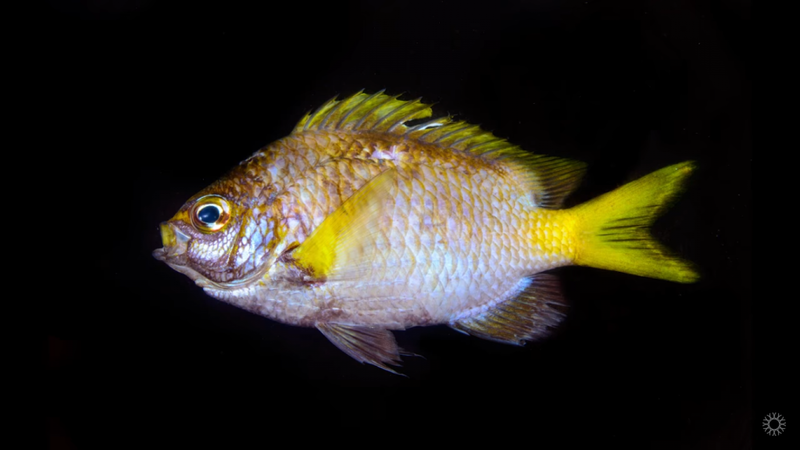 This expedition marked the first time that rebreathers have been used to explore the mesophotic depths of these isolated Polynesian waters, and, unsurprisingly, several new fishes (along with a new sea biscuit!) were discovered in the process. 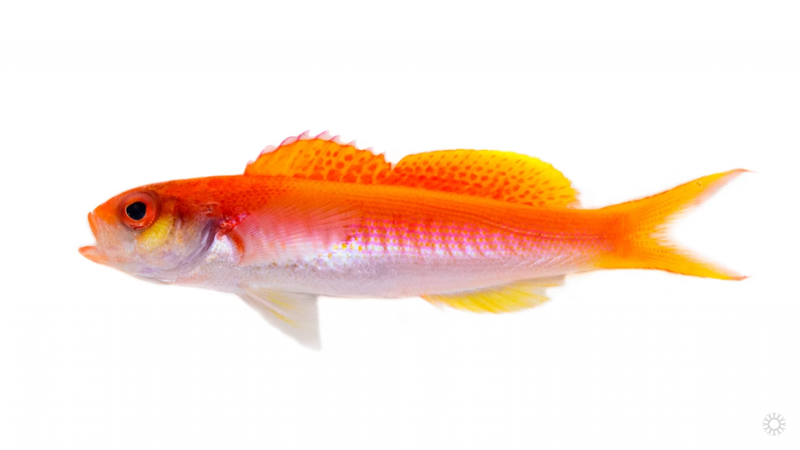 What’s particularly exciting about some of these finds, aside from their obvious aesthetic beauty, is the possibility that these represent not only new species, but perhaps also major lineages that have previously been unknown. 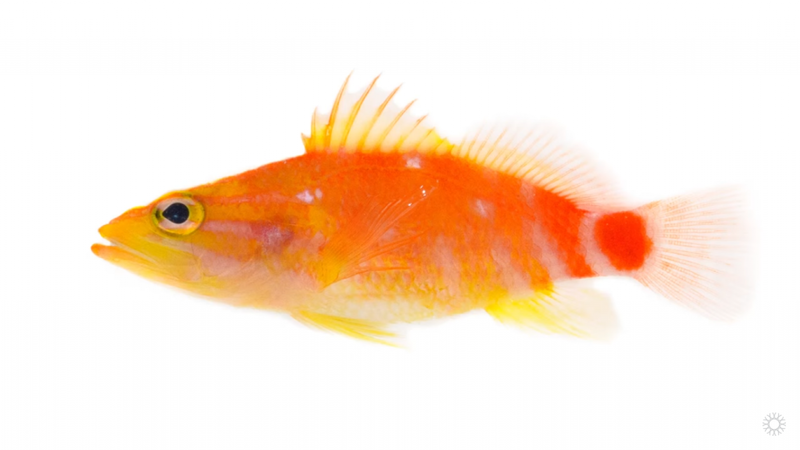 Take, for instance, the unusual anthias seen above. It would probably be safe to classify it within the enormous genus Pseudanthias, but there’s really no other species quite like it, and it almost certainly represents a very distinct branch in this group’s evolutionary history. 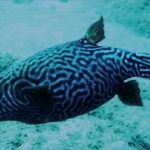 It was encountered at depths of 100 meters, along with the fish pictured below. 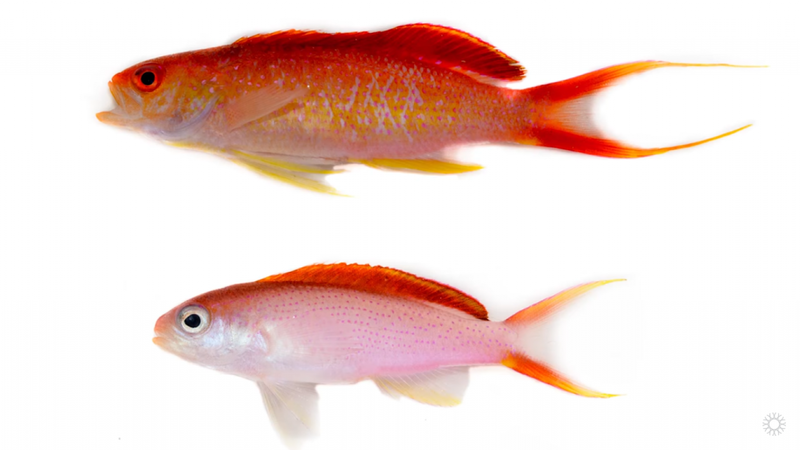 The final discoveries to report are a yellowish Chromis and a vibrantly patterned Plectranthias. This latter species is another standout, sporting a disjointed arrangement of horizontal and vertical stripes in shades of yellow, orange and red. 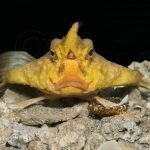 The angular profile of the head is a bit different from the more bluntly shaped species aquarists are more familiar with, giving a rather menacing, predatory look to this diminutive fish. Now that the arduous field work is done, taxonomists will soon begin the slow process of describing and naming these finds. Congratulations are due for the many researchers involved in this trip, who surmounted the immense logistical challenges of working in one of the most isolated corners of the world to bring these new discoveries to light. Dive in with Academy scientists and their Chilean collaborators to explore the waters of Rapa Nui, an island in the southeastern Pacific most well known for its mysterious stone statues. 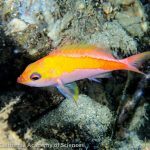 As a part of the Academy’s Hope for Reefs initiative, this expedition explored shallow reefs and made the first-ever documented dives to the region’s dimly lit “twilight zone” reefs 200-500 feet below the ocean’s surface.